Choosing just the right company to clean carpets can be a bit tricky. There are many factors to keep in mind when looking for the perfect carpet cleaner. Price, services included, and professionalism are all part of choosing the right company for keeping carpets clean. Here are ten important things to remember when choosing a carpet cleaner. In the business world, many people have heard the old saying “you get what you pay for.” This phrase is important in many aspects of the business world, but it may not be true when it comes to choosing a cleaning company for the carpets. In fact, many people have found that some of the less expensive companies did better work. Professional carpet cleaning is worth the cost and many customers generally love the outcome when they hire a professional. The end result of crystal, clean floors is what they are really looking for. Pricing is important to many people when making the decision to have the carpets done. On average, it costs anywhere from $370 to $470 for a 2,000 square foot room to be cleaned. Other companies charge per room at an average of $50 per room. Some of the smaller homes and rooms are much cheaper and average out at around $35 per room. Some companies do charge very high prices for their services and an $80 average could be charged. Many carpet cleaners offer a very specific way of cleaning the carpets. 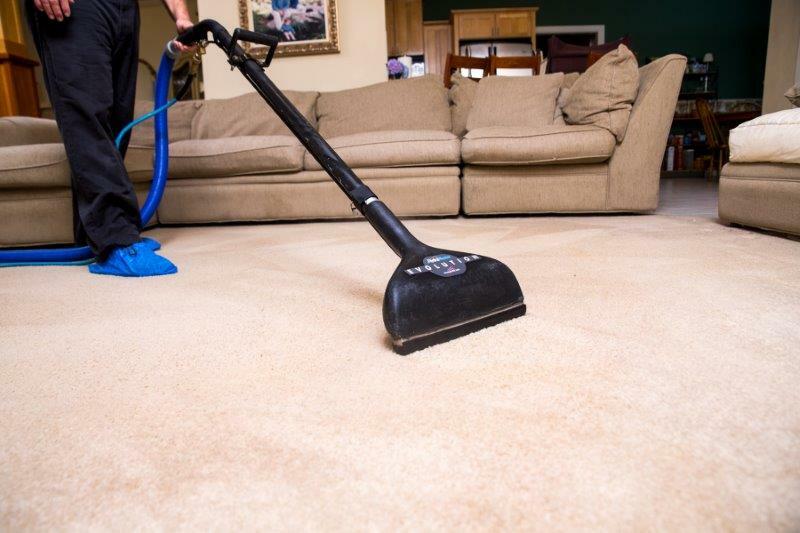 There are two types that are usually offered: dry carpet cleaning and steam cleaning. The type chosen will change the cost of the job. Dry cleaning is sometimes called low moisture and it involves chemicals with very little water. This type of cleaning is much faster than steam cleaning and is chosen by those who need clean carpets in a flash! This method does not clean as deep as steam cleaning, but it is suggested for those who don’t keep really dirty floors. Steam cleaning is very popular. It uses hot water and cleaning chemicals to get the dirt and fibers out of the carpet. Steam cleaning takes a lot more time and is usually preferred by property managers and landlords to use when tenants have moved out. This method does require a drying period of 24 hours. When it comes to getting carpets all clean, knowing the needs of the floors and customer is key. By knowing the type of carpet, what kind of stains it has had, and the age of the carpet, customers can help the cleaner figure out what the floors need to be cleaned properly. The cleaners will ask these types of questions and find out what type of chemicals can be used on the carpets. They will inquire about pets and children and any allergies that may be in the home. Any company that comes into a home to clean it must be bonded by the state. They must also have insurance and licenses. This paperwork means that the staff has had background checks and if anything happens to the furniture or property, the company is prepared to cover any of the damages. With all of the chemicals that can harm the home, pets, and children, it is important that the customer knows what type of cleaning fluids they want used on the carpets. Choosing a carpet cleaner that offers greener options can always sway an opinion on whom to choose. Some of the common cleaners can be much cheaper, so if allergies are not a problem, many customers just choose those. There are eco-friendly cleaners that companies may offer and not all of them are more expensive. It is important to check those out when trying to find the right cleaning company. “Never judge a book by its cover” is not the phrase to remember when choosing a cleaning company. Their vehicles should be clearly marked with at least a logo and phone number. If they are in a beat-up car, chances are they have not been legally bonded or licensed. Their car is not the only thing to look out for. Professional companies generally have a uniform and wear covers on their shoes. Their appearance should be just as clean as they make the carpets look. Finding the right carper cleaner does take a lot of research. One important thing to remember is to check their experience. If they have been in the business a long time, chances are, they are good at what they do. If they are new, check to see their references. If they don’t have many, it’s probably a better choice to stick with the veteran company. Companies who provide a guarantee are the best to trust and use. This shows their commitment to all of their customers and shows that they are reliable. Any guarantee promises that the work will be very high quality and if the customers are not satisfied the first time, they will make the changes needed or refund the money. Reviews of companies come in handy when choosing the right one. Most of the reviews come from real customers, unless a company pays for them. One thing to remember is to check the positive and negative reviews. If a company has more negative ones, chances are, they are not to be trusted. Word of mouth is the best way to find a good company. Friends and family members are great sources and if their carpets look great, chances are the company they choose is the best! Social media word of mouth is also a good place to look. Choosing a clean can be tough, but once the choice is made, it will be well worth it. The carpets will have a great look to them and there will be a peace of mind that goes along with it.